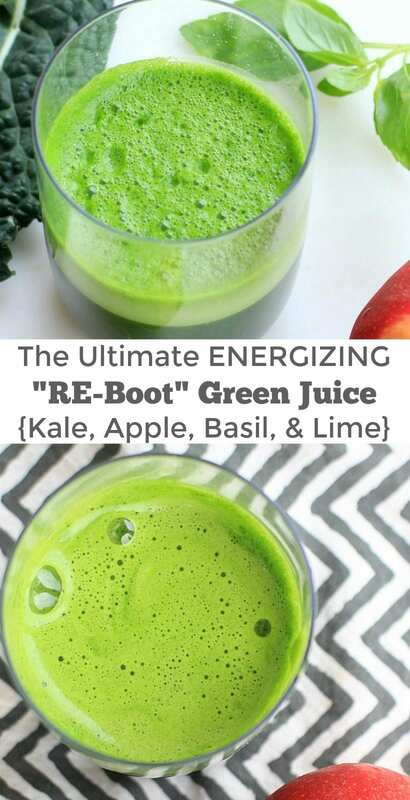 Energize Your Day with the Ultimate "Re-Boot" Green Juice! 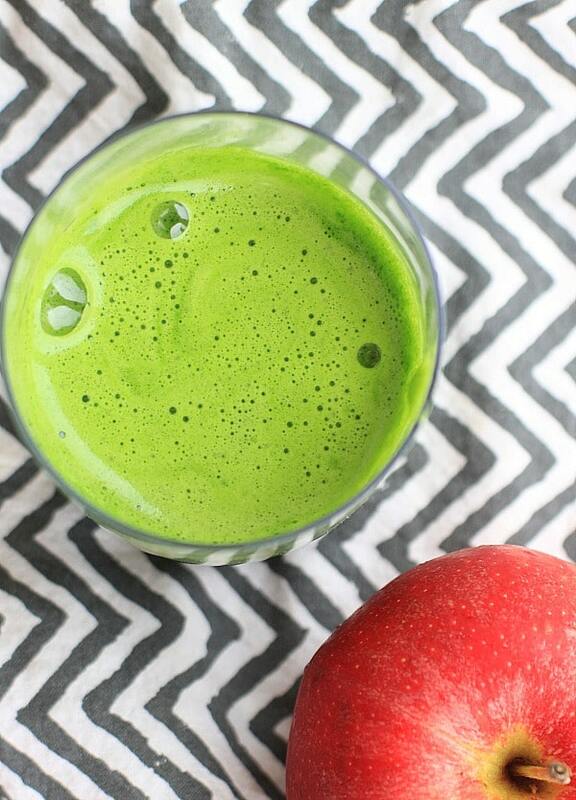 Re-Boot Green Juice to Fire Up Your Day! Some mornings need a quick re-boot, like this super delicious, nutrient packed apple, kale, lime, basil green juice! Do you ever have those mornings where, no matter how many cups of coffee you knock back, there’s just no energy flowing at all? Mr. Spicy said it best this morning after I stumbled back in to the bedroom, 2 cups of coffee down, 2 breakfasts made, 2 lunches packed, and multiple school papers signed, with a dazed look on my face. Not firing all your cylinders this morning babe? Did someone swap out the regular for decaf??? Note to my gluten-free friends in San Diego or traveling to San Diego, I highly recommend the Park Hyatt Aviara for not only lots of delicious gluten-free menu options, but also because the chef and staff have been well-trained about food intolerances and food allergies, and take all precautions to avoid cross contamination. Of course you should always address any dietary concerns with the chef and staff when dining out. Like this super delicious fresh pressed Apple Kale Lime Basil Green Juice which was absolutely, positively, just the ticket to energize my day! Oh, and it’s SO tasty, I think I might even get my kids to drink it. 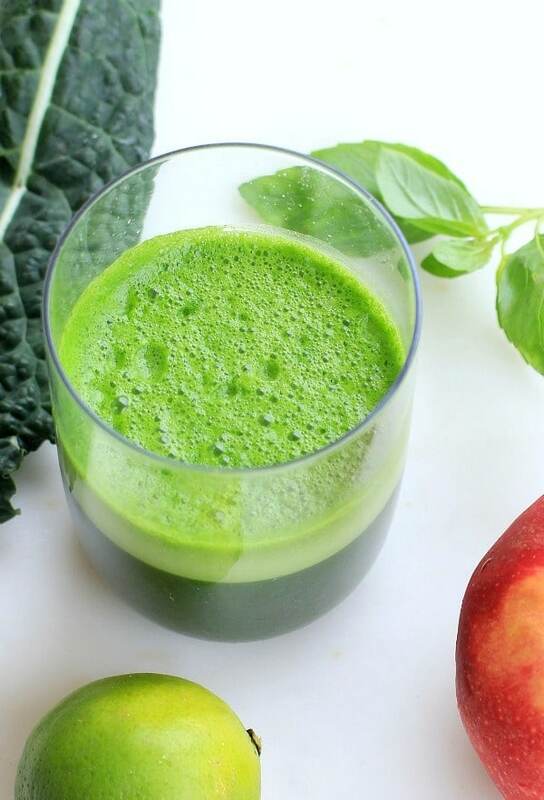 The apple adds the perfect touch of sweetness, the basil is pure morning aromatherapy, the kale is, well kale, and super nutritious, and the lime adds a fabulous hint of tart. In a juicer: Place all fruit and veggies in your juicer,and juice per manufacturers directions. In a blender: Place all fruits and veggies, plus filtered water or coconut water as needed, in a blender and blend until smooth. If you prefer your juice pulp-free, strain the mixture through a strainer or cheesecloth. Did you like this recipe?Be sure & let me know! Leave a comment, share it, or give it a 5-star review! Did you make it? Tag me @thespicyrd or #thespicyrd I love seeing your delicious recipe re-creations! Do you ever have mornings like this? What’s your favorite green juice combo? What’s your trick for re-booting your day??? Do share!!! If you enjoyed this post & recipe I’d love for you to share it! Thanks so much for your support in helping me spread the word that healthy IS delicious! Does your diet need a DELICIOUS re-boot? Click here to learn more about my nutrition coaching services and healthy cooking classes! 10 Delicious Ways to Enjoy Almonds + A Fabulous Almond Giveaway! This is a wonderful recipe. I loved this so much that I featured it in my best of post 33 HEALTHY Green Drinks For St Patrick’s Day. I have not shared the exact recipe, only one image and a small quote from here. All credits are given to you and linked back to this page. healthy food choices and similarly points may be subtracted for less healthy foods such as chocolates and candy. keep producing nitrogen to make sure that the nutrients you are taking in will travel quickly and effectively to your muscles. that will keep your body healthy without adding to your weight. I love the vibrant color. Just looking at it I feel like I’ve done something good for myself. The basil would definitely take it over the top for me. Would you have any suggestions for helping one to ease into green smoothies? I love kale and I love limes, apples and basil. My mind knows I ought to gulp this smoothie down for the energy boost but my taste buds are balking. I added a pinch of sea salt and some Stevia…still struggling…added some Stevia…and now the smoothie and I are at a stand-off. 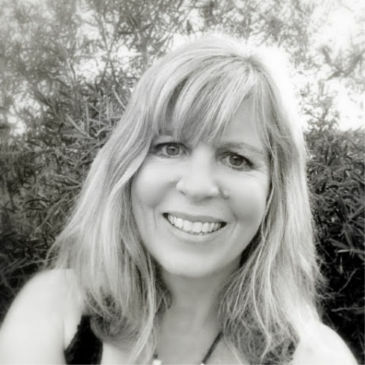 Hi Sharon-So glad you stopped by! 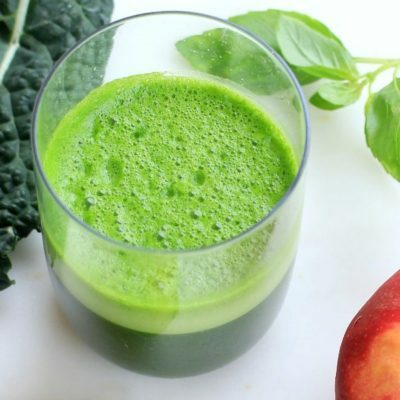 My first suggestion for easing in to green smoothies, is to go low on the green, and higher on the “not green” 🙂 This particular juice, you really don’t taste the “green” because of the sweetness of the apple, and I think a little sour always helps too. You might want to try this Kale Frosty which is a favorite of mine. I do 2 cups of kale, but if you start with 1 cup, plus lots of ice, I think you will barely notice the “green” at all. Cheers! This juice would definitely boost my day! Like a direct infusion right into my blood stream! Super zippy combo Miss EA. I am one of the unfortunates who can’t have caffeine except in small (ineffective) amounts. 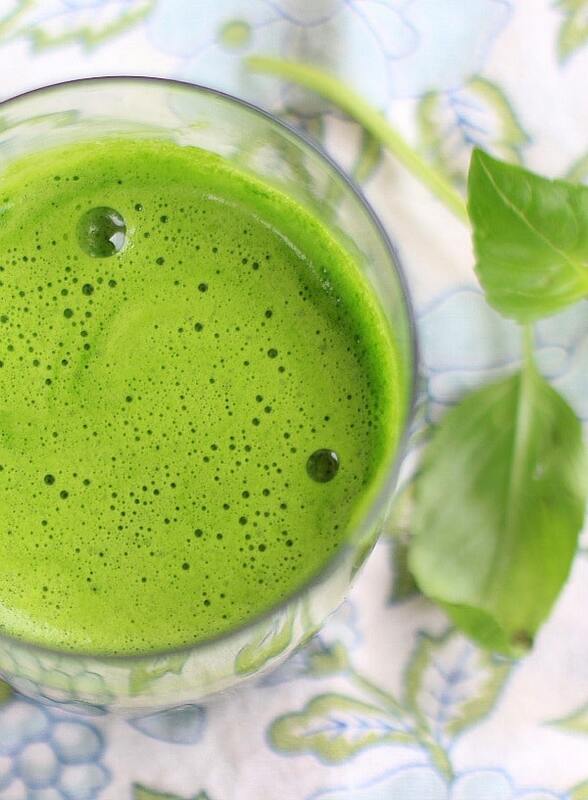 I rely on strong green juices sometimes – as well as my matcha tea (just a little caffeine). I love the basil in this. I usually use mint in something like this (kale/apple juices) but basil, hmmm. Must give that a go. Oh, my condolences on no caffeine 🙁 If that were my fate, I would be juicing every day 🙂 The basil was delicious, but mint sounds fabulous too! 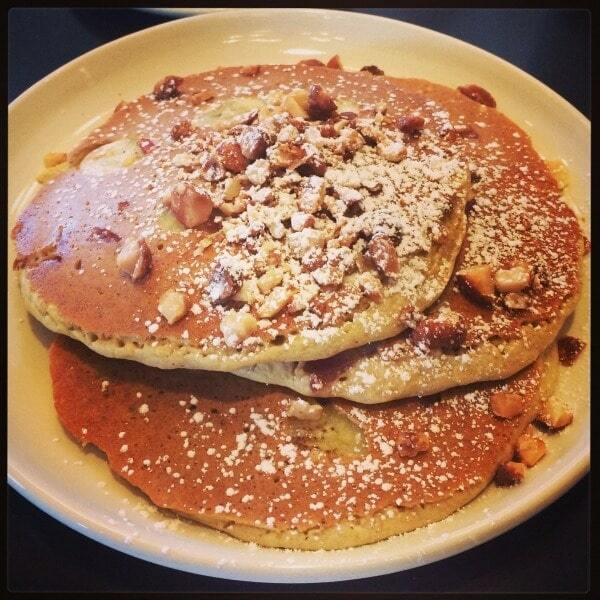 And those pancakes sound UH-MAZING! I love green juice to re-boot! One of my favorite combos is simply spinach/cucumber/apple/lemon. I’m sure you have lots of busy days too w/ your boy where you need a good re-boot Andrea 🙂 Love your green juice combo too!